You know how you can get really hot in a Spinning® or Indoor Cycling class because you are working hard? You know how Spinning® and Indoor Cycling studios get really hot because a lot of people are working hard together in an enclosed space? Sometimes really, really hot, sometimes even steamy? And you know how smart facilities do everything possible to make sure there is good ventilation, lots of fans, and cool temperatures? They do this for the safety and comfort of their students – because they want their students to come back. You know how heat will raise your heart rate? You also know that that increase in heart rate has nothing to do with extra power output, it isn’t due to your physical effort to work harder. It simply means your body has to work harder at the same power output to dissipate heat. Why? Because excessive heat is not a desirable thing – your heart rate increases so it can send more blood more quickly to the skin for the evaporative cooling effects of sweat and convection. This higher heart rate can translate to not being able to work out hard enough, reducing your ability to train, reducing your potential power output. And, contrary to what your heart rate monitor might tell you, this higher heart rate does NOT translate to an increase in caloric expenditure. But you know that, right? You know how every reputable personal training and group fitness certification includes a segment on thermo-regulation (how the body regulates heat) and how important it is for trainers and instructors to be watchful for students who get too hot, because it can be very dangerous, even life threatening for some students, if their core temperature rises too much. All athletic trainers and coaches are schooled very carefully on the dangers of training in excessive heat. Otherwise, we read very sad stories like this about high school football player deaths, or about this death of a professional football player which resulted in a heat illness education program being instigated by the NFL. So, now that you all know (or most likely, already knew) these things, why don’t THESE PEOPLE know this? The CorePower Yoga studio chain is starting a new Indoor Cycling program, and is advertising that one of their unique differences from a typical “Spin” (sic) class is that they will raise the cycling room temperature to 85 degrees….at the START of the class! Yes, you read that right. They are going to RAISE the temperature of the cycling studio before you even turn a pedal. You know what this means? It means that once everyone gets going, the room temperature risks rising to well above 90-95 degrees, and if the humidity is anything over single digits (that would be most of the country) then the heat index can easily reach to dangerous levels. The heat index is more important than ambient temperature. Maintain air temperature for all physical activity areas between 68 and 72 degrees F (20 and 23 degrees C). The key is to maintain these temperature ranges whether the room is empty or fully occupied by members and users who are engaging in moderate to vigorous physical activity. This guideline refers to the fact that the heating, ventilation and air conditioning (HVAC) system within the facility should have the capability to adjust airflow to meet the demands of each space. This is not Bikram® yoga folks. Personally I am not a big fan of yoga done in very hot rooms, but yoga is not a cardiovascular exercise; doing yoga isn’t going to drive your heart rate up (much) on its own, and doing yoga in the heat isn’t really dangerous (unless you have certain conditions that preclude it). But taking an indoor cycling class – a strenuous cardiovascular exercise that by its nature raises the core temperature of the body and increases heart rate – in an artificially hot room IS dangerous. Some might say (as they do in the comments on CorePower’s blog announcement of the cycling classes) that “people ride bikes in the heat all the time so it’s not a problem”. Riding outdoors is a very different thing. Outdoors you have the benefit of wind to aid in the cooling process. This accelerates the convective aspect of thermo-regulation, which is often reduced in an indoor environment, especially one with insufficient fans. Indoor humidity is generally much higher than outdoors because of the mass of bodies in the room. Most outdoor cyclists will avoid riding in the heat of the day, and if they do have to ride when it’s very hot, their output will necessarily be limited. This is not to be taken lightly. As you know, the public isn’t always wise about their fitness choices; nay, they are more often very ignorant and gullible. CorePower Yoga is a very popular yoga chain – I have many friends who love CorePower Yoga. Misinformed impassioned fans of their yoga will undoubtedly be drawn to their heated cycling classes. If this spreads to more of their facilities, and then beyond their facilities to others who want to be seen as “trendy”, this can become a very dangerous fad. Does it take a heart attack or two before facilities like this hit themselves on the forehead and go “Doh”? So you know the downside of working out in the heat. What could possibly be the upside of riding bikes indoors in a heated room? I mean, something caused someone to think this was a good idea, and then to convince others to invest money in it. Since it has been proven beyond a shadow of a doubt that heat-related illness can be very dangerous or even life threatening, and that excessive sweating is not a sign of improved ability or fitness and does not equate to improved performance or caloric expenditure, then there is only one conclusion: there is zero benefit to riding indoors in a heated room. Excessive risk with zero benefit equates to a very unwise move. Is their motive nothing more than a desire to be different? What’s next? Cycling in the sauna? And I haven’t even mentioned the “L” word (liability). CorePower might want to rethink this move – unless they have loads of cash and/or are taking out a huge insurance policy. Wondering why you’d heat a class such as this??? Seems to be a pretty obvious contraindication. Hopefully there aren’t any serious medical emergencies as a result. EDIT June 2013: it looks as if those links to CorePower are no longer there. I’ll have to do some research to see if they discontinued this program or just changed their website. Welcome to Spin Class: You Won’t Last! I am a BIG fan of Hot Yoga BUT IDC in a heat environment you have to be CRAZY and IDIOT ! Bikram is way warmer than 85 but the level of intensity is lower. Where I teach when the temperature above 70, sometime AC is going wrong, I have to adapt the intensity of the profile, 70 is way bellow 85 !!! Thank you Jennifer for writing and posting this. We have may members at our gym that “hate the fans on”. I continue to inform them of the dangers and send/ post everything I can find on the topic that has science to back it up. But, alas, I continue to be meet with this fan issue again and again, and something resulting in some students not coming back to my class because another instructor or trainer has told them the more you sweat the more calories they’re burning. so thank you for morre useful imformation To pull out of my magic jersey pocket. There is a studio by us that started a Hot Bootcamp class. Why? There are some spinning instructors that do not allow fans at all in their room. They close the door to the spin room also so there is no circulation at all. This done at a Spinning certified facility. I don’t get it. However, some students just don’t want the fans blowing directly on them (that would be me). Make sure there is an option for them to avoid the direct fans – they may not come back if everywhere in the room will put them in the path of a direct fan. It’s the temperature in the room that should be set lower. Ventilation is important (fans) but temp comes first. Well I am currently in a bit of a fight with the gym I go to. I love the spinning classes but I can’t take the closed door with no air circulating and 2 big fans on the wall that our spinning instructor won’t let us use. I am asthmatic and have no problem doing the spinning classes even the advanced ones, but I need air circulating in the room. I am a bit exceptional because the other problem I have is my body over heats very easily. I have always felt the heat more that the average person and having a fan directly on me helps me cool down. 2 other spinning instructor s will let us put the fan on. It is really quite simple I think. If you like the fan directly on you plant yourself infront of it which is what I do. If you dont like the air directly on you then move to another location in the room but dont make people suffer and put them in a dagerous situation.The instructor who wont let us use the fan has seen me in respiratory distress and it didnt seem to bother him one bit. I leave the class with my face so red, dizzy and nausiated and I actually cant eat 2 to 3 hours before the spinning course or I will throw-up. This spinning instructor gives 8 out of the 10 classes. I am currently trying to change and go to another gym, one that is safer for me. Big, big, SIGH!!!!!! Just goes to show why educating, educating, and more educating, will always be a the most important part of our jobs as fitness professionals if we truly care about the individuals who cross our thresholds to ride with us! AND That’s why organizations such ICA, as a tireless advocate for using only safe, well researched practices, are vital to all of us who are passionate about indoor cycling and want it to get the respect it deserves as a serious, and effective fitness option. Keep up the good fight Jennifer, you elevate the game for all us!! Another product of uncertified, unqualified individuals trampling where they don’t belong. Anyone who incorporates high-temperate environments with a general population group exercise of any kind has little understanding of exercise science and should be banned from the heath and fitness industry. Was that statement strong enough? Do cyclists find themselves competiting in high/extreme temperatures? Yes. I suffered heat-stroke racing a criterium in 100+ degrees. Threw-up during the final sprint along with at least 4 other riders. We joked about measuring the projectiles to determine the winner (yeah, TMI). I’m also coaching a rider training for the RAAM who must get accustomed to altitude and high-heat, but this is specialized training which has no place in a class designed for general populations. Some of the blame must go to the clubs themselves for allowing folks without appropriate credentials create and introduce programs that have little to no basis on functional movement or training science. Ok, I’m done commenting on this…..I’m overheating. I teach indoor cycling and am also about to receive my 200 hour yoga teacher training certification. My training is in power vinyasa, and we do heat the room to 90 degrees F. There is much to consider with this type of yoga to do it properly, safely and effectively. When done this way, it can be a fantastic and invigorating experience. That being said, the idea that heating a cycling studio and cycling in that kind of heat is completely off the charts stupid. The yoga studio is heated to, among other things, promote stretching and relaxation, and heart rate is not elevated to a degree where this environment could be dangerous. Nevertheless, people need to be very well hydrated and mentally prepared for the challenge. Combining heat with an indoor cycle class is completely contraindicated and I’m sure that Mr. Bikram would not want his name associated with such folly. I can’t imagine teaching a class like that much less actually taking a class, working hard, in a hot, ventilation-free room. Wow. It seems to me like this is yet another disturbing example of indoor cycling studios misinterpreting and misusing information about unorthodox training practices used by a minority of highly trained, closely monitored, and very experienced elite cyclists. Trying to “keep it real” can be a disaster when the inherent nature of indoor cycling classes (not to mention classrooms and participant population) is ignored. There are outdoor cycling principals that can be modified and applied effectively indoors and then there are some that just don’t translate. Period. Thank you for continuing to remind instructors how to apply real world training principals to indoor cycling for effective and SAFE results. Woow, I guess they thought of this because people want results and they want them fast! Spinning is designed to be intense it’s made to push you to your maximum ability! Adding heat just sounds like a nightmare to me when usually that is the only thing that will keep u going!! For anybody who wants to try it my advise is that spinning will bring u results anyway don’t think heart attack is the result you r looking for!! -humans can cool by radiation and evaporation. Once the external environmental temp equals or exceeds the internal one, heat can only be stored (as in, you’re getting warmer). -this leaves evaporation, which requires that sweat be able to evaporate (I know, duh) so the air cannot itself be saturated (as in, humid). Circulating air enhances evaporation, as anyone riding outside has noticed. -A humid, closed room full of exercising bodies giving off more humidity and heat makes cooling almost impossible, so core temperatures will increase. -increased core temp (esp. without heat acclimation) increases heart rate and oxygen consumption. -increased oxygen consumption means your body is responding as if you were working at a higher intensity but (and this is big, so yes, I am yelling): YOU AREN’T GETTING THE TRAINING STIMULUS that you would if you were actually working at the higher intensity. -still with me? To summarize: if you don’t try to keep the room cool and less humid, everyone will FEEL like they’re working harder, but they won’t actually be. It feels worse AND you get less out of it. Doesn’t every instructor dream of putting her members at risk and degrading their fitness? I’ve collected data on heat illness deaths. It’s not pretty and the worst part is that exertional heat stroke fatalities are almost 100% preventable. See ksi.uconn.edu/ for more. This is the institute at the University of Connecticut founded by Korey Stringer’s widow after his tragic death. Thank you Jen K. I can’t tell you how many times I’ve quoted you in class, and I am very grateful for the hours you have spent in the lab working endlessly to provide us with the science to back it up. I have never had a student pass out in class because of hypothermia,however, there are reports that students have because of overheating. Thankfully that hasn’t happened in any of my classes. I totally understand not wanting the fans blowing right on you,(personally I need the fans, cause all I have to do is look at a Spinner and I break a sweat :^p) but I am responsible for the safety of everyone who comes to take my class so the fans go on. Thank to you all for keeping us informed and up to date! I fully understand the views above, concerning the effects of heat on the body especially in a confined room, and it’s consequences. I also understand that heat can raise your heart rate but not necessarily equate to increase “extra power output”, etc. However, not having the fans directly blown on me is PERSONAL preference, nothing to do with “Heating up my body to produce more power outage” seriously?! God knows I can produce power and intensity with or without heat in the room. To me, being hot and sweaty ,then having a fan blown on you just gives me the chills which I personally find counter productive. Bottom line is , with proper hydration and EFFICIENT VENTILATION, without fans being directly blown at you will resolve most of the issues being addressed here. I know this because I have personally witness this “IDEAL” situation at another local fitness facility (Life Fitness). Instead of dealing with the majority fanners out, I have compromise by sitting in a spot where the least amount of direct fan is. I and many other non fannies would like a little respect and consideration, either turn fans down a little or keep one off, of the 10 that are on! I am like you, when I am sweating the last thing I want is a fan blowing right on me – it gives me chills (and not the good type)! The way to counter this, as you say, is a good ventilation system, and also have some No Fan Zones! Me being the instructor I can choose to not have a fan blowing on me, but if I’m in class as a student I search out a place where I won’t be hit directly by a fan. But having fans will not necessarily address the issues being discussed here. The issue being discussed is a facility that keeps the ambient temperature at the start of the class to 85 degrees F. That’s hot! Even with fans it will go UP from there with hot sweaty bodies pedaling hard. That is the danger, and therefore, the folly. It is important to BEGIN with a temperature controlled room (as per the ACSM guidelines) – start cool, let it naturally warm up. I agree with Henry Y. Of course we all want to have the room at good temp and for me personally go to spin to sweat. They don’t call me Rain man for nothing. When I get wet form sweat, the fans while they put some air in the room, they give me the chills. We non fannners are in the minority but we should have some say as well as the fanners. Going in a corner sometimes works OK but not always esp, when people are calling for the fans at the start of class. Come on were here to work. It is like we are the bad guys and have no say. No one ever asks if we can say no to a fan? Ken, do you draw a difference between not wanting a fan (as I stated above, I HATE fans too!) and raising the ambient temperature of the room? Us non-fan-fans rely on our own bodies to regulate heat and keep us comfortable. That ability to do so is going to be thrown off kilter when the temps START at a higher temp. People like you and me are going to be the ones who suffer the most in an artificially heated room! So, I’m kinda disappointed at the vitriolic nature of this discussion. Calling people “stupid”, “crazy” and idiotic is simply unnecessary. The central question is: “Does cycling in a heated room raise the risk of injury over other types of cycling/exercise, and if so, is this level acceptable?” While you might speculate that the danger is unacceptably high, you haven’t offered anything empirical to reinforce that position. If, however, the risk is acceptable, well…it’s a free country. I have taken CorePower’s RealRyder cycling course 5 days/week for the last 6 months, and have enjoyed the class and the bikes immensely (this is coming from a person who had never considered spinning in her life). Being on bikes that move in a heated environment really challenges my stamina and endurance in a way that keeps me coming back day after day. Yes, we are sweaty. Yes, we are out of breath. Yes, we’re encouraged to take water breaks whenever we’re thirsty. Yes, we can turn the bike’s resistance way up, or keep it low. Yes, we’re told to pay attention to our own bodies. Yes, it’s not a competition with our neighbor. Obviously, I’ve taken many of the CorePower IDC classes and not a single non-heated IDC class, so I can’t report on the differences directly (perhaps some of you who have taken both classes can?). Ultimately, after practicing vinyasa style yoga in 105-110 degree rooms for the past decade, a little heat on the bike “feels” more appropriate than inappropriate to me. Simply put, my body “feels” more energized in a heated environment than a non-heated one. Again, if I ever get too hot or tired I back off, as all people should do regardless of the type of exercise being performed. I’m just one student, but I thought I’d put a voice to the other side of this debate. Michelle, I understand you are a student, so hopefully as you continue in your knowledge and experience of fitness you will start leaning toward proven science. Unfortunately, one of the plagues in the health and fitness industry are programs and training modalities created by people who “feel” something is good or will work because either (1) they like it or (2) they believe it works for them. It is sad to see such a disregard and disrespect for our profession and research. Liking the way something “feels” does not make it wrong, but it is certainly not the litmus test for something being correct either. I’ve even worked with pro cyclists who had a great approach to training that only worked for them. Others tried this great (and somewhat proven method) and found themselves at risk. But a pro did it! Ultimately there is no excuse in today’s day and age for contraindicated approaches to training and exercise. Real information, research and communication are plentiful. It is carelessness, arrogance and pure laziness to design and subject people to training without pursuing the proper knowledge and education. Although I understand the sentiment of your last paragraph about practicing yoga in the heat, it is “feeling” and not based on training science. Just like saying “I’ve been eating tons of junk food for the past decade and continuing to eat more junk food “feels” more appropriate than inappropriate to me. Simply put, my body “feel” more energized when I eat tons of junk food than when I don’t.” It may taste and “feel” good, but it would certainly not be call sound nutrition. When someone can scientifically demonstrate the training science and physiology behind heated cycling in a group fitness environment, I will certainly be ready to learn. Thank you for your input Michelle. Actually, the facts mentioned aren’t “speculation”. The Heat Index is not speculation – it is used by NOAA and the National Weather Service to warn the population of potential dangers when temperatures rise and humidity increases – and that is not even considering someone who is exercising. ACSM is not “speculation”. The facility guidelines of ACSM (The American College of Sports Medicine, one of the most respected organizations in the fitness and sports field) for exercise facility room temperature and ventilation are based on hundreds, possibly even thousands, of studies on thermoregulation and heat-related illness, as well as optimal climate control in exercise studios for the safety and well-being of participants. Other well-respected fitness organizations, such as ACE, the American Council on Exercise, have similar guidelines on room temperature. You ask for “empirical evidence”. While empirical or anecdotal evidence may be acceptable in some instances, scientific research is much better, especially when one is talking about the human body and potential dangers. Remember that yoga is not cardio. One should not try to correlate a hot-yoga style of practice to any type of cardiovascular exercise. Cardio raises the internal temperature of the body much (much) more than yoga. The type of bike used is irrelevant. I love the Real Ryder bikes – I have one and ride it in my very cool basement. I have taken their certification, too. But because the bike moves side-to-side has no bearing on whether it feels better if the room is heated. Please re-read the comment above from Jennifer Klau. She didn’t note it in her comment, but she has a Ph.D. in exercise physiology. Her points are worth noting – sweating is not an indication of exercise intensity, and high heat actually diminishes the potential work that the body can perform. I would listen to Dr. Klau – she is also a very experienced cyclist and Master Instructor for indoor cycling! 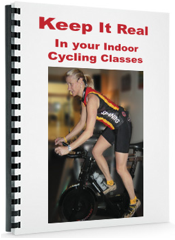 And Tom Scotto who has responded twice, is one of the top indoor cycling master trainers in the world. You even say “if I get too hot I back off” – which means that you are missing out on a potential benefit of being able to work harder if it was not that hot. Not only is one’s perceived exertion higher than one’s power output would be in a cooler room, but you say you have to BACK OFF, meaning you reduce it even more. Having to back off is one of the (many) negatives of training in an artificially heated cycling studio…. but what is a single positive to it? There is not a single redeeming factor for cycling in a heated room. As Tom mentions above, that “positive” needs to be based on training science, not just a “feeling” (empirical). We haven’t even scratched the surface on the potential liability of facilities who adhere to such contraindicated methods. I would think that facility owners across the country should be incensed at this practice (as they write their checks to their insurance companies), even if from a purely financial point of view. When one organization practices questionable methods and sustains a lawsuit (or lawsuits) due to negligence (which would most definitely be the case if a heat-related illness – or God forbid a death – occurred in a heated cycling studio), the cost of insurance for ALL facilities increases. You say that it’s a “free country”. Yes, it sure is, but I fail to see how that comment applies when discussing a fitness facility and the obligations that it has to its members to make sure it does its research to keep them safe. What your comment means is that you are free to put yourself in a dangerous situation any time you want – alone, by yourself in a room – but it does not mean a club has the “freedom” or right to put all their members at increased risk. Ask a lawyer. The “L” word alone – liability – should scare all facilities into keeping their A/Cs in optimal working order. Not to mention the “C” word – complaints by students suffering in the heat! Practical guidelines for staying cool. Even a moderate amount of exercise can bring a rider’s core temperature up to 100 or 101 degrees. Key Point: The effort by exercisers to attain “dripping-wet” status is counterproductive from a safety, performance and calorie burning standpoint. The perfect temperature. Research indicates that 55 degrees Fahrenheit (13 degrees celsius) is the highest temperature at which individuals can expect to perform their best. Temperature is not the sole cause of heat problems. Heat plus humidity (partly influenced by poor ventilation) is more dangerous. Cool and well-ventilated environments present the best conditions for challenging cardiovascular workouts. Do not further increase the temperature and humidity levels by turning up the thermostat, closing off ventilation or wearing an excessive amount of clothing in order to retain heat and sweat more. If the classroom is too cool, participants can add clothing. On the other hand, if rooms are overheated, individuals are more compromised with regard to clothing and hydration options. I don’t know why health clubs would want to make exercise even less enjoyable! There’s enough trouble getting most people to work themselves as it is. Time for air resistance bikes driving massive in your face fans so it feels like a real bike. Besides, heating is a waste of the health club’s money! No need to cool to -20 but just leave the doors and windows open like they do like at massive rock concerts, doors behind the stage open to dissipate the heat of thousands jumping up and down. Funny how fans in spin class can be so divisive. We have several who want the fans and several who do not. The temp in the room can be anywhere from 66deg to 75deg. If there is a spin class before obviously its warmer and more humid. The “great compromise” we have settled on (which gets challenged often by new spinners) is this. The class last ~1hr. We try to allow 15minutes before the ceiling fans are turned on to allow everyone the opportunity to ‘warm-up’. There are always a few that ‘call’ for the fans to be turned on earlier but for the ‘great compromise’ we attempt to make it to the 15 minute mark before doing so. Of course, if there is a new person and we see they are really sweating heavily and struggling then we cut the fans on. The objective is to satisfy all the riders needs and encourage them to come back. Is the 15 minute limit a reasonable compromise time ? We try to hold to the same time every time so participants will know what to expect. It is hard to satisfy everybody.